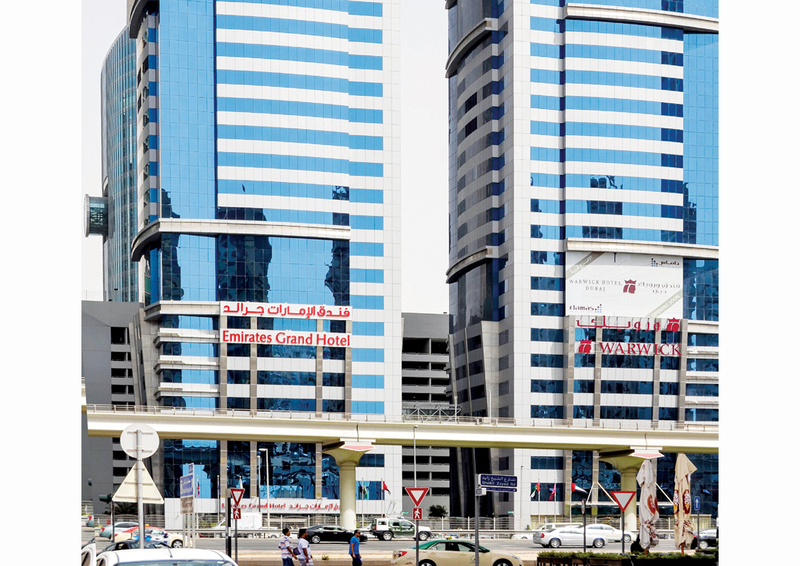 The chilled water being simply too warm, the climate control units in Emirates Grand Hotel in Dubai could not regulate temperatures to the desired levels. Additionally, the pumps always ran at full speed. This was a situation the hotel wanted to eliminate since guest rooms were not at the desired temperatures and power consumption was too high. The cooling specialists at Getco found a solution. A variable-speed pump drive made by Rexroth now delivers exactly the pressure needed by the system. This is good for two reasons: electricity consumption is lowered and the chilled water is kept at a constant temperature. “We decided on the variable-speed pump drive by Rexroth since it is the most dependable on the market,” emphasises Dr Taoufik A Hadi, technical manager at Getco. “Bosch Rexroth has unveiled its new series of Variable Frequency Drives (VFDs) for general automation, material handling, pumps, fans and conveyors,” says Mohit Kohli, automation engineer at German Gulf Enterprise, Bosch Rexroth’s distributor in the UAE. These VFDs are providing tailored solutions for different applications; different series are available depending on the application. The electronic frequency converter series EFC 3600 offers an economic solution for energy efficiency-oriented process control application. Easy and quick start-up with the new electronic frequency converters from Rexroth variable speed control for electronic drives is a main factor for increasing energy efficiency in machine engineering. With the newly developed EFC variable frequency drive series, Bosch Rexroth offers the economic benefits for general automation, material handling and pumps, fans and compressors, which had up to now been operated continuously and inefficiently. 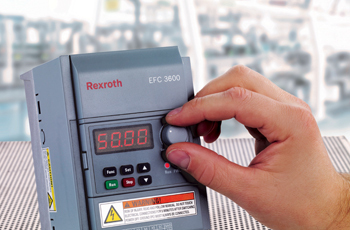 The EFC 3600 variable frequency drive is a completely new design by Bosch Rexroth that complements the existing product portfolio including the Fe and Fv frequency converters as well as the highly dynamic IndraDrive platform. The EFC 3600 improves the process control through integrated PID controllers as well as through a sequence control system with eight steps. The settings enable an energy-efficient operation of equipment and machines at their optimal operating point. Due to its high intermittent overload capacity of up to 200 per cent as well as the high initial torque of up to 150 per cent, the EFC 3600 can be used for a wide range of applications with the most varying requirements. The freely scalable V/f characteristic allows load-dependent adjustment of the voltage/frequency curve, which ensures a longer motor service life. The EFC 3600 can be connected to other automation topologies via optional Modbus or Profibus fieldbus interfaces or via digital and analogue inputs and outputs. In the first roll-out, the EFC 3600 will be offered covering the performance spectrum from 400 W to 4 KW. The presence of integrated brake choppers and mains filters means additional peripheral devices are not required. The EFC 3600 complies with the EMC directives for industrial applications. Due to its compact design, which is complemented by the plug-able I/O terminals and optimised cooling concept, a gapless side-by-side and space-saving installation is possible. For devices up to 0.75 kW, fans are not required and subsequently are supplied fan-free. Devices with performance level 1.5 kW and higher are supplied with integrated fans that can be easily accessed without requiring tools for cleaning or replacement. The EFC 3600 complements Rexroth’s frequency converter series Fe and Fv which cover the performance spectrum up to 90 kW. Bosch Rexroth has created a series of frequency drives that as well as reducing energy usage provide prolonged operational efficiency. These are quick and easy to install. They can be considered as highly reliable, offering optimal functionality as standard and a cost-effective solution. Drive and control technology from Bosch Rexroth moves machines and systems of any size.